Last Thursday, March 14, 2019, a jury in the 152nd District Court in Harris County returned a $550,000 verdict for Plaintiff, Mary Angela Branch, who was shot in the eye with a 30-gauge needle and permanently blinded in her right eye during a routine, cosmetic eyelid surgery. The jury found the surgical technologist, employed by Defendant ProHealth Staffing, LLC, 80% at fault for failing to completely lock the needle onto the syringe when she assembled the equipment. This failure caused the needle to pop off the syringe and shoot into Ms. Branch’s eye while the plastic surgeon, Defendant Henry Mentz, M.D., was injecting Ms. Branch’s eyelid with a local anesthetic at the beginning of the surgical procedure. The jury found Dr. Mentz 20% at fault for failing to check that the needle was completely locked onto the syringe before injecting Ms. Branch’s eyelid. When the needle shot into Ms. Branch’s eye, it pierced her eyeball and hit the central part of her retina, severing her arteries for vision and causing permanent vision loss in her right eye—her dominant eye. She is now legally blind in her right eye, impacting her ability to drive (especially at night), which in turn forced her to resign from her managerial sales job that required significant travel by car. In finding the defendants responsible for eye surgery medical malpractice, the jury awarded Ms. Branch the lost wages and medical expenses she sought, along with physical pain, mental anguish, and physical impairment damages of $280,000 ($30,000 in excess of the $250,000 statutory cap on non-economic damages). Ed Blizzard and Anna Greenberg of Blizzard Law, PLLC tried the case on behalf of Ms. Branch. Ed Blizzard is Anna Greenberg’s father, and this was their first trial—and victory—together. 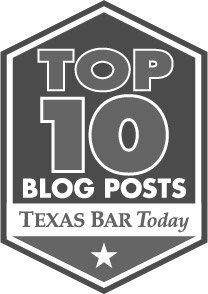 Medical malpractice is complicated, and requires significant experience, as the cases are notoriously difficult to win in Texas. The trial lawyers of Blizzard Law, PLLC provide in-depth medical knowledge and an understanding of the cost of a medically induced injury over a lifetime. We will help you get the care you need and the compensation you deserve for the injuries you suffered due to medical negligence. Contact us for more information.